After finishing school I wanted to spend some time traveling and climbing as long as possible. Buying a car was too expensive. So the idea came to realise my adventure with a 30-year-old motorcycle called ”Schwalbe” (built in the socialist DDR between 1964 to 1986). Together with my grandfather we built a little trailer to carry all the stuff. October 2013 I started my 7-month moped adventure, hoping to meet many inspiring people. First stop was the well-known area Finale Ligure in Italy. To spare the ‘new’ vehicle, I decided to hop on a car-carrying train to Alessandria and drove the last 120 km through the old villages and many olive plantations. “It felt great to be on the road with the knowledge I have EVERYTHING I need with me…. The first kilometres on the coast felt like a dream. I drove through nice villages next to the sea and couldn’t stop smiling and singing. Next stop for was Varrazze a bouldering spot 40 kilometres away from Finale Ligure. It turned out not to be the best time from the journey. The weather was bad and except for some half-wet boulders, there was not much climbing here so trip went on to sunny Sardinia. After some bouldering in Bosa I visited some untouched Granite blocs in Arbus where the potential wasn’t that great. You have to hike a long way to find boulders which are high enough to climb on. 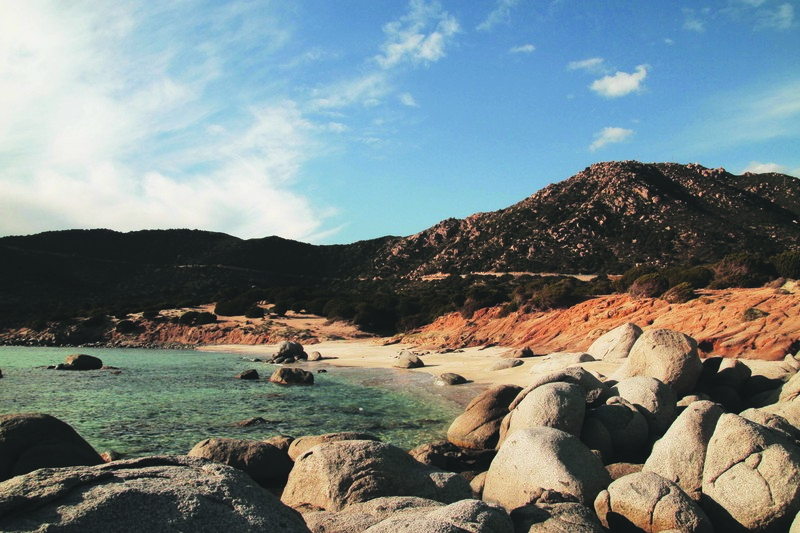 There is a better place to visit, situated near Cagliari, where the granite boulders are next to the sea. Amazing boulders with strange shapes. The relaxed sound of the waves and the wind makes the atmosphere perfect. Motivated to carry on exploring I moved to the next island, Sicilia. After I survived the traffic of Palermo I drove towards to San Vito lo Capo. The town is situated under a massive 5 km long limestone crag only 20 m away from the sea. Jackpot! I found myself a climbing partner the next day and climbed some nice and easy routes. I spent a month in San Vito Lo Capo in Sicily. A month full of climbing, sun, sea and nice people. 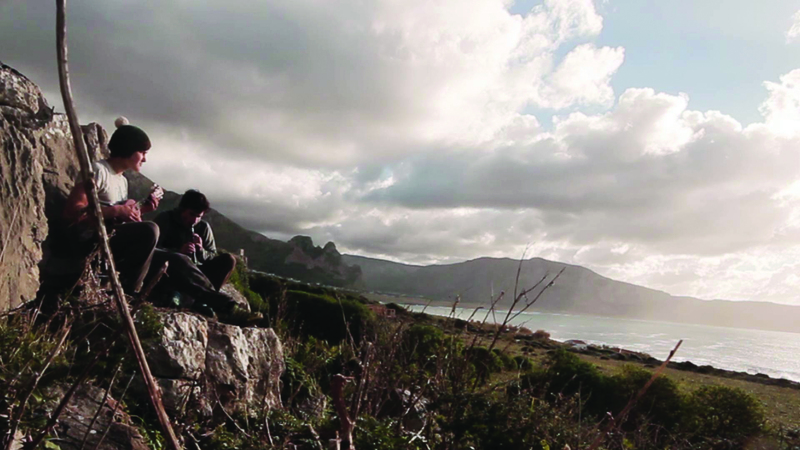 After Sicily the journey continues in Spain. Thé country with the endless amount of rock. Before Jonas went to the ”Catalan Fontainebleau” EL COGUL, he visited St. Joan de Viatorrada for some bouldering in the forest nearby. The Boulders are a mix of conglomerate and sandstone. There are many nice and hard lines even though the area is not that big. Next stop in Spain was the area with the endless amount of limestone routes, Margalef. From El Cogul, it’s only 40 km driving on beautiful tiny roads and villages. 10 Kilometres before the village you are at the top of the mountain, from which you have an amazing view over the valley where the climbing sectors are. The journey continued in Suriana and was the last month of my road trip. With the impressive limestone crags coloured in grey, yellow, red and blue it’s not hard to understand why this place is the best spot for climbers for a long time. In Suriana you can be sure to spend a nice time with people from every part of the world. “Nowhere during my trip it was that easy to find climbing partners as here in Suriana. My last month passes away surprisingly fast. My time on the road slowly gets to an end. Realising that it makes me a little bit sad. It will not be easy to give up the freedom I have felt during this trip, but at the same time I’m happy to see my family and friends again.